Dieser Beitrag wurde unter Allgemein, ICSD Swimming, Records, USA, World Deaf Swimming Championships veröffentlicht. Setze ein Lesezeichen auf den Permalink. 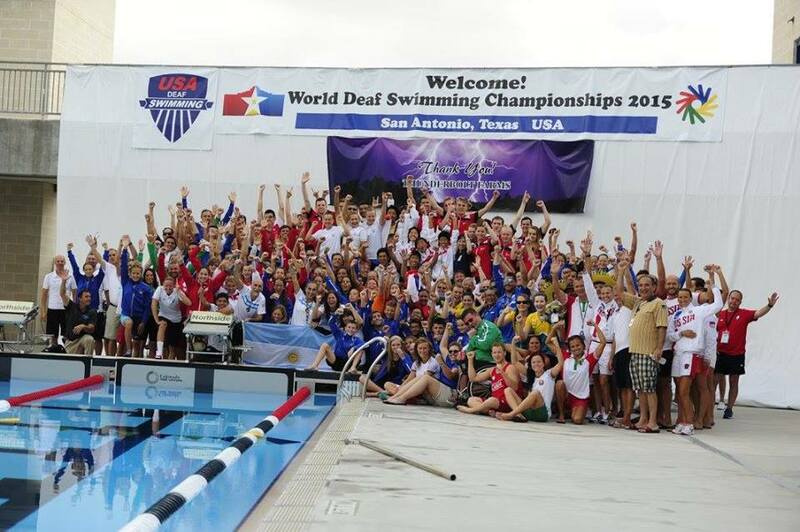 2 Antworten auf RECENT ICSD WORLD CHAMPIONSHIPS: WORLD DEAF SWIMMING CHAMPIONSHIP 2015 which was held in San Antonio, Texas, U.S.A. from 17 August – 22 August, 2015. Please recount medals. They haven’t update medals count on final day of race. That medals count you show is only from Monday to Friday. They haven’t look at Saturday (final day race).